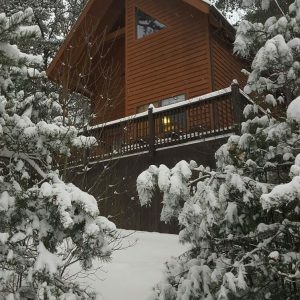 July 2018- My wife and I spent a great 3-night getaway in a cozy cabin just off the parkway in North Carolina. Ms. Jill was very informative about everything to do in the immediate area surrounding the cabin. You just won’t get that sort of information without looking it up yourself. The Cabin was very comfortable and has all of the amenities. Price was very reasonable too. We spent our days wandering up and down the Parkway seeing the sights, visiting Parkway Historic landmarks and hiking to two of the Linville Falls viewing points. If you love the clean fresh air and with all of the comforts of home, you will love staying in one of Ms. Jill’s two cabins. Early morning coffee on the deck is my favorite. I give it a 5 Star Rating.